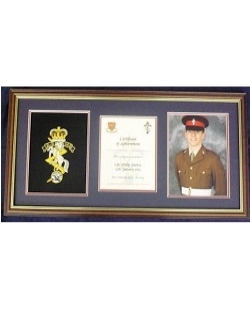 Victoria Prints> Main Section > Graduation Frames > ATR Winchester > ATR Winchester - 25" x 11.5"
You Are Here: Main Section - Graduation Frames - ATR Winchester - ATR Winchester - 25" x 11.5"
We are unable to process card payments via the website. It is unfortunate that due to insurances not being available for items of glass in transit that we are unable to guarantee glass within our frames. Every effort will be made to ensure that breakages are kept to a minimum.